Spectacular total remodel in Banning Park area. 3.6% 30 year fixed financing available with no points and no closing costs. Classic French Provincial architecture (these were popular right after World War I) with tons of original character and builtins. Tri-level floorplan (only one i’ve ever seen in Wilmington), high vaulted wood beam ceilings, raised foundation, refinished original hardwood floors, plaster walls, brick fireplace, separate formal dining and breakfast rooms, open kitchen with quartz counters and stainless appliances, all new dual pane windows, quartz baths (one with separate tub and shower), recessed lighting, huge walk in closet, low-voc paint, all new fixtures, pro landscape front & rear with auto sprinklers, etc. Finished 2 car garage with new door, auto opener and direct access. Huge backyard with covered patio, brick barbeque and small detached studio with electricity. 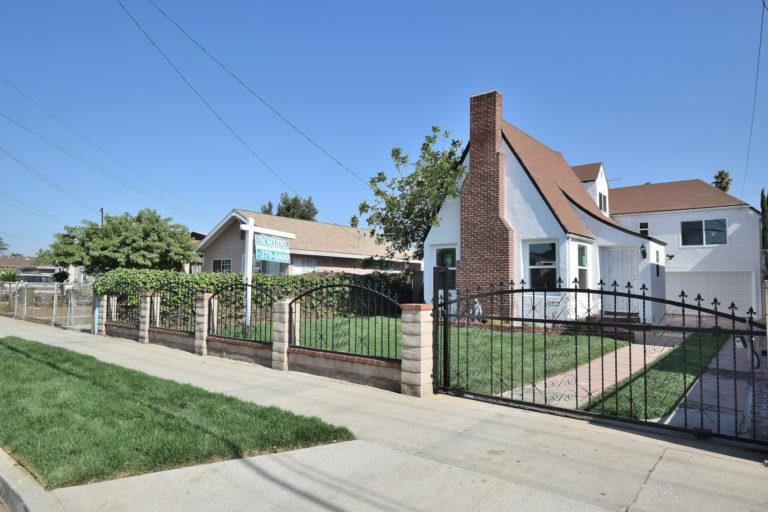 Completely walled and gated 153′ lot with room for addition/accessory dwelling unit (ADU). 83 Walkscore: One block to Wilmington Library, Fries Elementary and Bridges Span School, 3 blocks to Banning Park and banning High, 1 mile to 2 future oceanfront parks ($24M and $53M), Harbor College, golf course and 110. FHA/VA NACA OK, seller will pay fees.